The Security Council voted for a resolution that prevents Iran from providing the Houthis with weapons, but Russia vetoed this resolution. This implies that Russia opposes the resolution that prevents Iran from supplying Houthis with ballistic missiles that bombard our cities. The question is how Russia justifies to Gulf countries the veto it exercised against the resolution that prevents Iran from supplying Houthis with weapons. I hope that GCC countries will deal seriously with this Russian decision. It is time to link our economic strength with our security interests, either by suspending our business deals, or by canceling them. What is important is that the international community should know that we will not accept what undermines our security. We cooperated with Russia to have a diversified security and prevent abuse of monopoly in our alliances. These were good decisions. Today, we must link these alliances with trade agreements as well. Interests should dictate our alliances, not friendships or commitments except for what aligns with our security interests. The world must take steps against countries like Iran for providing militias with weapons. Russia has such a strong bias towards Iran that it threatens the security of all the Gulf countries, despite apparent closeness between Gulf and Russia and the series of meetings held between the two sides. However, everyone knows that Iran is fighting us through its proxies, by continuously supplying weapons (especially those made in Russia or Iran) to its agents in Yemen. This means that the war will have no end. Iran does not raise ‘regular armies’, but musters irregular ‘militias’ that fight states, oppose decisions in their countries and forces their peoples to obey the militias — be it in Lebanon, Iraq and Yemen. Supplying these militias with weapons makes it impossible for them to merge with the state, which in turn makes it impossible for these countries to have stability. The threat to its neighbors is also heightened because these militias cannot be brought under the ambit of international conventions and treaties. Therefore, the world must take steps against countries providing militias with weapons. Yemen is threatened by a militia that contravenes any form of legitimacy. Although Houthis are not a regular army, the state in Yemen has been overtaken by Houthi militia. Yemen has internal conflicts which threaten the entire region. Houthis launch missiles supplied by Iran in the direction of Saudi Arabia. Thus how can Russia justify this veto, which totally violates our security? Is the veto Russia used to thwart condemnation of the Syrian regime, when it bombed al-Ghouta, not enough? Russia now stands completely against our interests and our security. We should ask Russia to clarify its position towards us. It sells weapons to us even as it sells weapons through Iran to militias that threaten us. Then it torpedoes a move to prevent it from selling the weapons that threaten us, as if it seeks to benefit at the expense of our security! This is the rationale of a war trader and not of a state that builds international relations on a sound and sustainable premise. 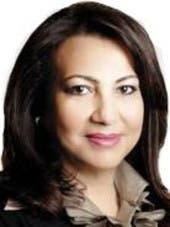 Sawsan Al Shaer is a Bahraini writer and journalist. She tweets @sawsanalshaer.